Photo by Jacqueline Bennett The Wild Bunch, a Swiss-American Fife & Drum corps, shows some spirit at the annual muster in Colchester, Connecticut held July 26, 2014 on the Colchester town green. 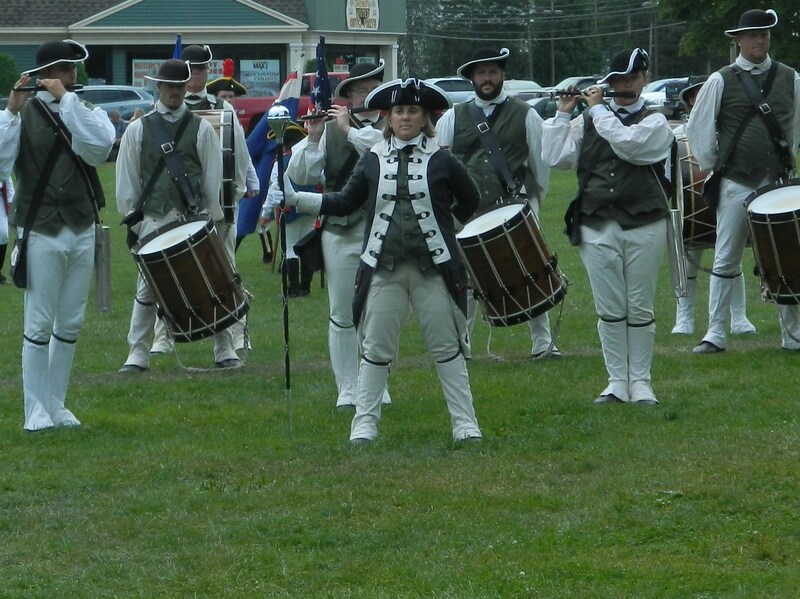 The Wild Bunch, an American-style fife and drum corps from Switzerland was warmly welcomed at a muster held July 26 in Colchester, Connecticut. Led by the Colchester Continentals Fife and Drum Corps, the event began with a short parade onto the town green where performances from approximately a dozen groups was punctuated by the Swiss visitors. Members of the Swiss-American fife & drum corps, the Wild Bunch, display a proclamation presented to them from the state of Connecticut. The day before, the Wild Bunch had taken part in a large muster in Deep River and their corps was scheduled to participate in another one near Old Saybrook the following day. Members, who hail from Basel, Switzerland, and an American from New York, praised the congeniality they said greeted them everywhere they went in the United States, as well as, the intimacy of their first time experience in Colchester. Each corps, among them groups from Windsor and Westbrook, had its moment in the spotlight. They performed historical American tunes such “The Battle Hymn of the Republic” and “I Wish I Was In Dixieland”. The Wild Bunch was clearly a crowd-pleaser! 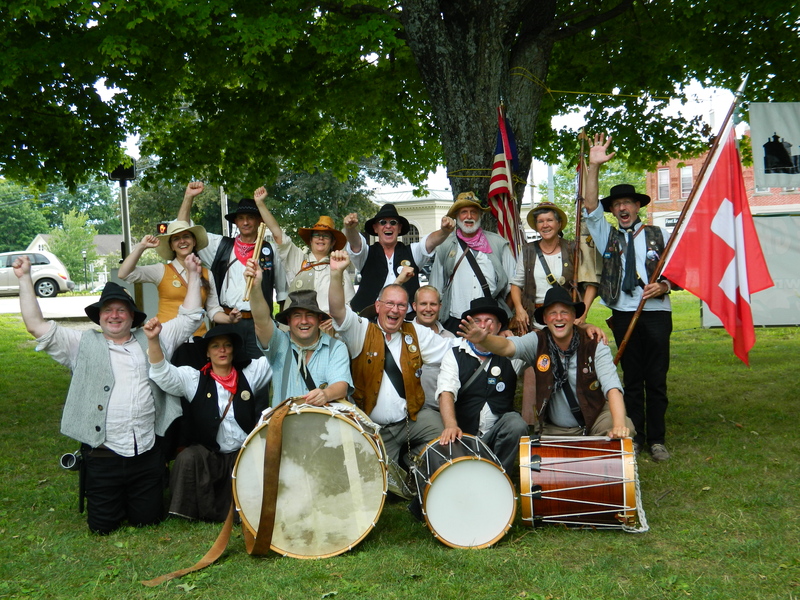 Although it was their first time attending the Colchester muster, the Wild Bunch has been coming to the U.S. to be part of musters for a number of years noted Schmid. 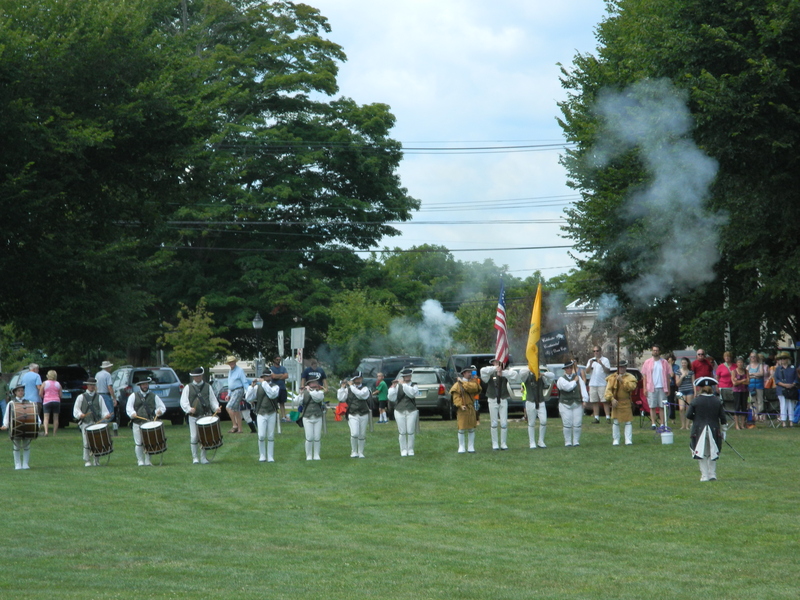 As host of a July 26 muster, the Colchester Continentals Fife & Drum Corps gave an opening musket salute. Playing of the “Star-Spangled Banner” by the Colchester Continentals. 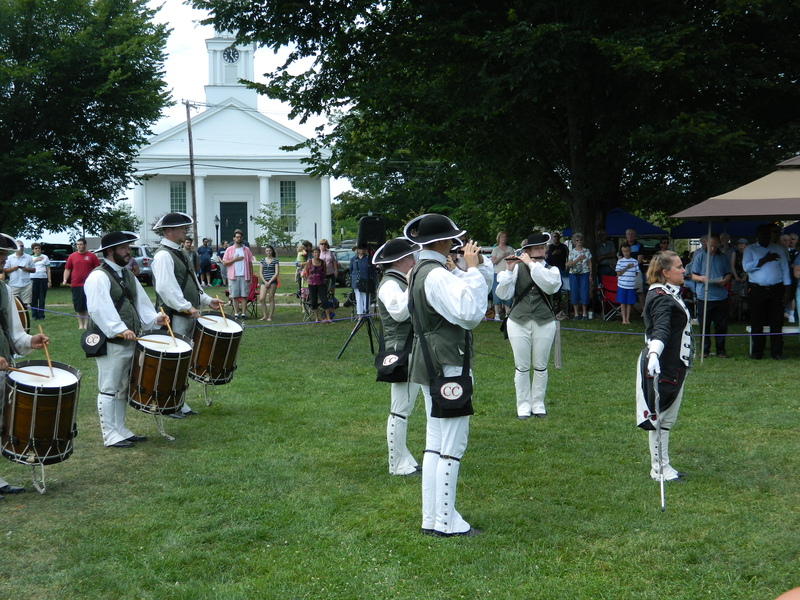 The Colchester Continentals hold a fife and drum corps muster annually on the fourth Saturday in July. 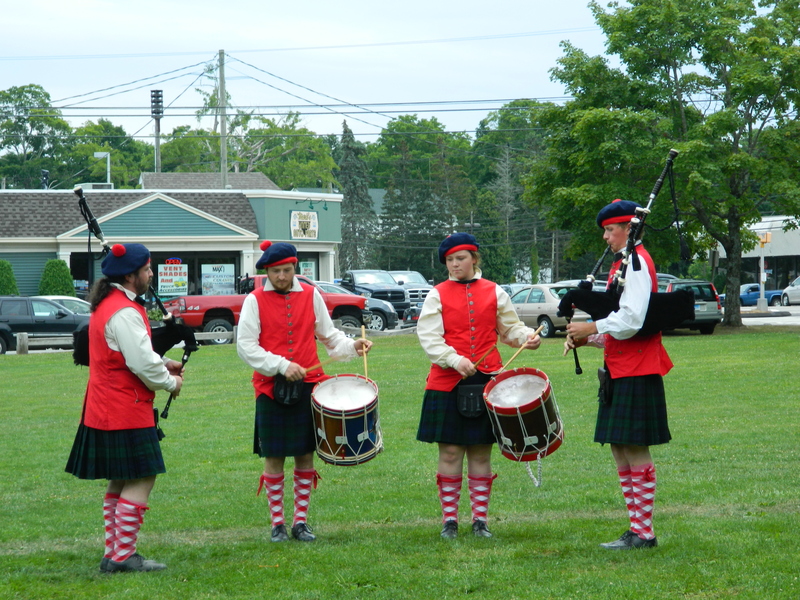 The tradition of Swiss fifers and drummers participating in American musters got its start some 40 years ago when subsequent to contact with the Ancient Mariners of Connecticut, the Swiss Mariners were founded and “adopted the uniform and the repertoire of the Ancient Mariners”, David Pear wrote in a published press release. According to Pear, the Wild Bunch is one of five America-style fife and drum corps residing in Basel, Switerland. 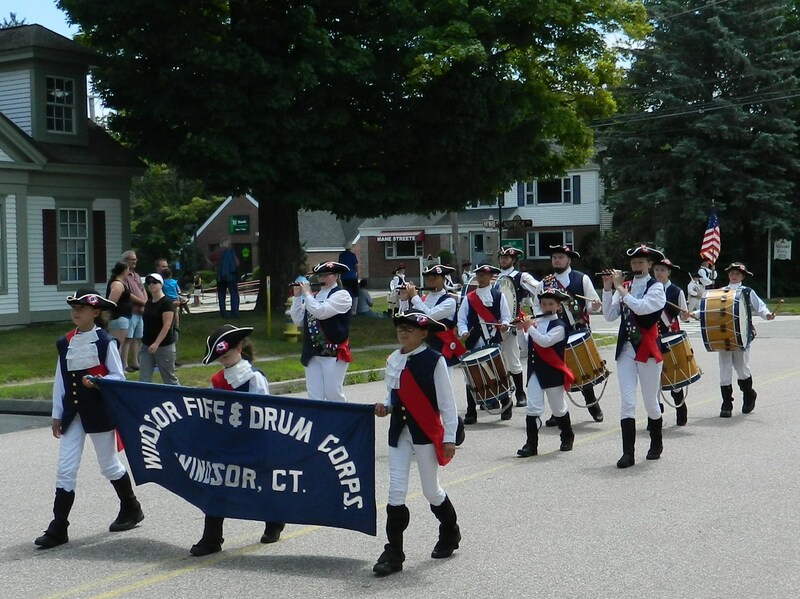 Windsor CT. Fife & Drum Corps. 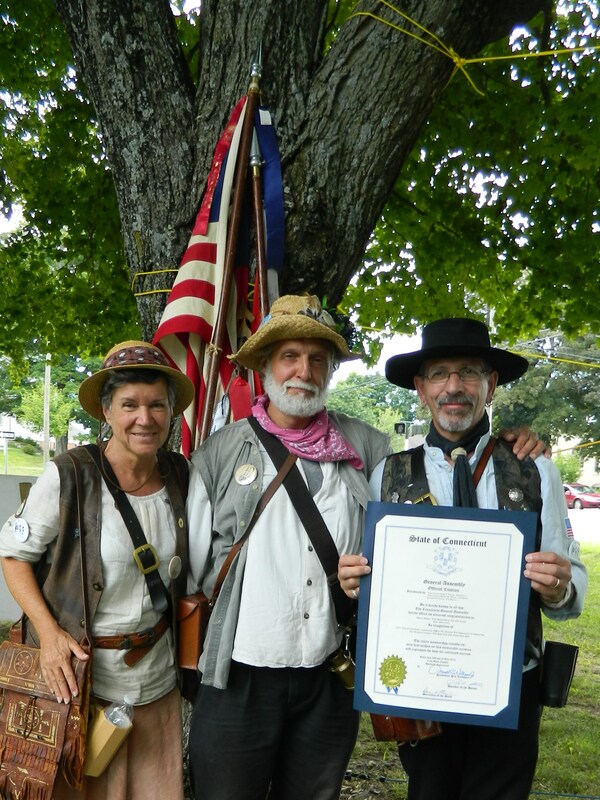 At the muster, The Wild Bunch was presented with a proclamation from the state of Connecticut. The free event ran concurrently, from noon to late afternoon on the Colchester Green, with an annual craft show sponsored by the Colchester Historical Society. Individual corps exhibitions were followed by informal joint group performances.